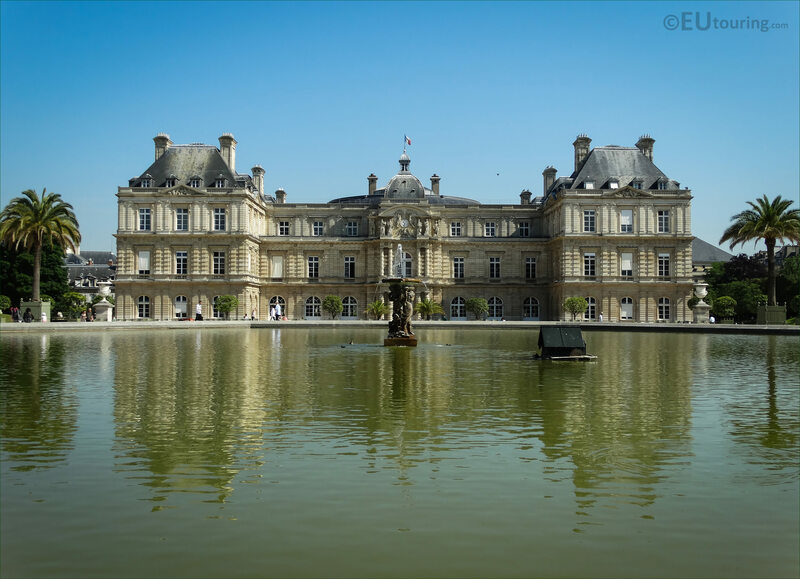 This time while we were within the Jardin du Luxembourg, which is located in the 6th Arrondissement of Paris, when we took these high definition photos showing the statues on the water fountain that is located in the large basin, called Enfants supportant une vasque. 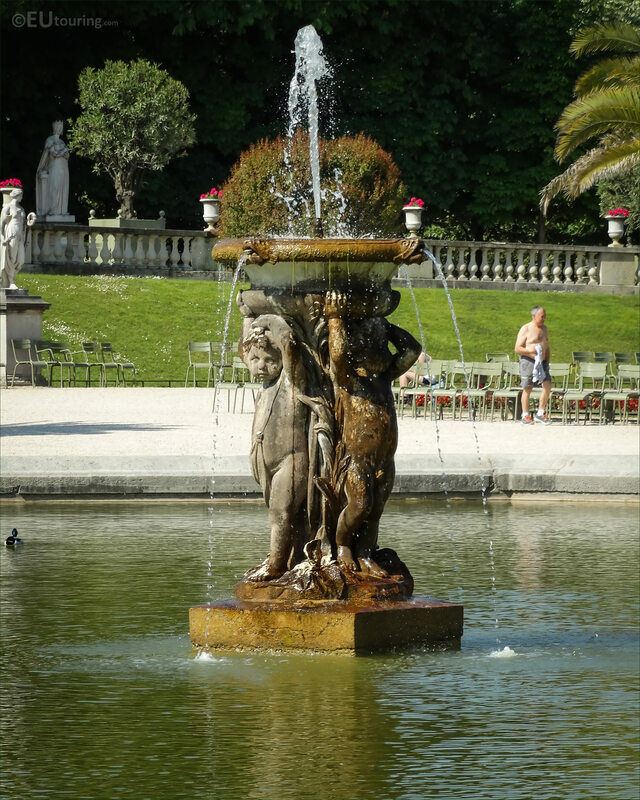 So this first HD photo shows the Enfants supportant une vasque water fountain statues, which in English translates to Infants Supporting a bowl, and produced in marble, this was originally located in the village of Chantilly, but it was purchased by the French Senate for the sum of 2,420 French Francs. This was then placed within the grand bassin, or large pool, when this was constructed by Jean Francois Therese Chalgrin, who was the architect that made alterations to the Palais du Luxembourg and the historical gardens, yet is most well known for being the architect of the famous tourist attraction in Paris of the Arc de Triomphe. Unfortunately, there are no records as to when the Enfants supportant une vasque statue was first sculpted, or even who this was produced by, yet it was purchased by the French Senate during the First Empire in Messidor year X. And to give you a bit of an explanation as to Messador year X, this was the 10th month in the French Republican calendar and the first month of the summer quarter, which comes from the Latin word for harvest. However, the Gregorian calendar is the most widely used calendar in the Western world, and also the Christian calendar, which was first introduced by Pope Gregory XIII in the 1500s. So, when converting the Republican calendar to the Gregorian calendar, Messdaor X means June 1802, when this statue was officially purchased. 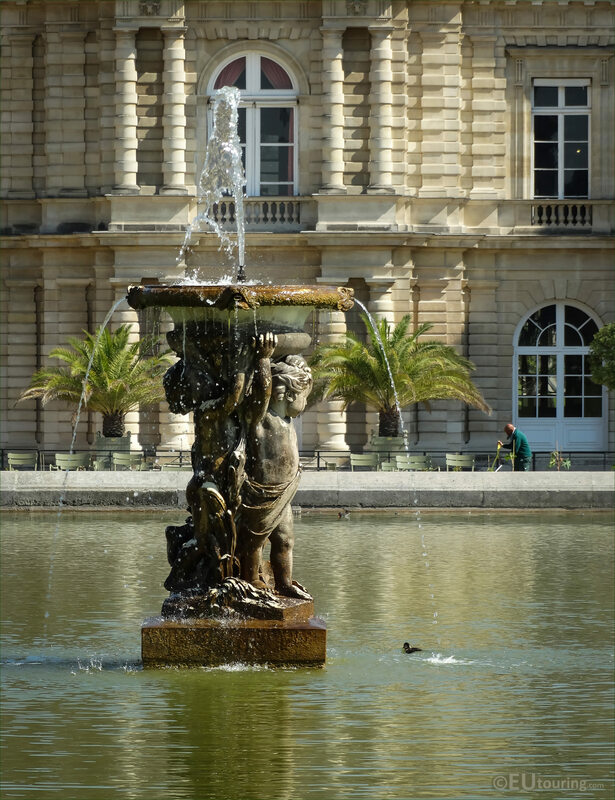 Now this last high definition photo shows the locating of this fountain statue of the Infants supporting a bowl, and as you can see, the Palais du Luxembourg with its elegant architecture provides a truly fabulous backdrop for the basin that has become a popular spot for children to sail model boats.